IMBO: Claire, welcome to I Must Be Off! How long have you lived in France? And what surprised you most about the country? Is this your first experience with the expatriate life? KING: Thank you for having me! No, I've been an expat before. 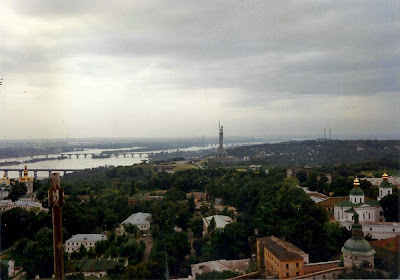 I spent 3 years in the late '90s living in Kiev, Ukraine just after the country gained independence. It was a wonderful humbling and transformative time for me. Expat life there was very different, because there were very few of us, and there was a gulf between our means and those of the local people. As an expat in southern France (I have been here eleven years now) I am less vividly 'different' and in fact it's this that amplifies my experience as a foreigner here. IMBO: Oh, wow. First things first: Kiev! Did you learn the language while living there? What was life like there? How did this experience change you? KING: I learned Russian in Kiev. At the time it was the most widely spoken language in Ukraine, at least in the central, eastern and southern parts of the country. When I was working in Lviv in the west (I travelled around a lot) it was a struggle, as not only was English not spoken but nor, resolutely, was Russian. I picked Russian up quite quickly, it’s what’s known as ‘immersion’ I believe. For any foreigner there in the '90s who wanted to live any kind of normal life – buying food at the market, meeting and conversing with people beyond the narrow scope of the ‘western’ business community – there was no choice but to tackle the language. Life in Ukraine was fantastic. At that time it was the raw edge of a society ripped open. It was hopeful and shocked and edgy and uncertain and at the same time there was a real emphasis on the simple things in life. Summers were hot, and we promenaded on the boulevards, swam in the Dnipro river and cooked shashlyk on spits. Winters were long, snowy and arctic. We had parties and drank vodka and went to the ballet. I was 24 when I went to Kiev, and pretty naïve I suppose. It was the first time I had really understood another culture and experienced their preoccupations and problems first hand. I think I left a more empathetic and compassionate person, but also stronger in myself, having had to deal with things like the militia, the mafia and so on. I made some strong and long lasting friendships while I was there, and I wrote a lot. I had (still have) a lot to say about Ukraine. 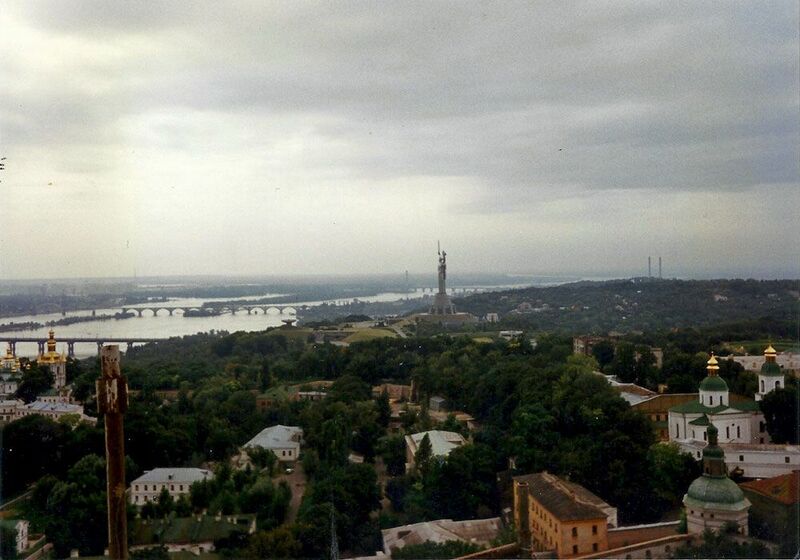 "[Kiev in the '90s] was the raw edge of a society ripped open." IMBO: Can you share something you wrote during your time in Kiev? Maybe something online? KING: There’s nothing online from that time, it was so long ago… A short story I wrote there ‘Wine at Breakfast’ was shortlisted in the Bristol Short Story Prize volume 3 (2010) which is available in the anthology (paper or e) either from the Bristol Prize website or Amazon. There are some absolutely cracking short stories in that anthology, from writers like Valerie O’Riordan, Jonathan Pinnock and Kate Brown amongst others. Otherwise, I’ve been working on my own short story collection which will draw on that time and I’ll be ready to talk about it soon, at which point I might drop a few tasters onto Fictionaut. 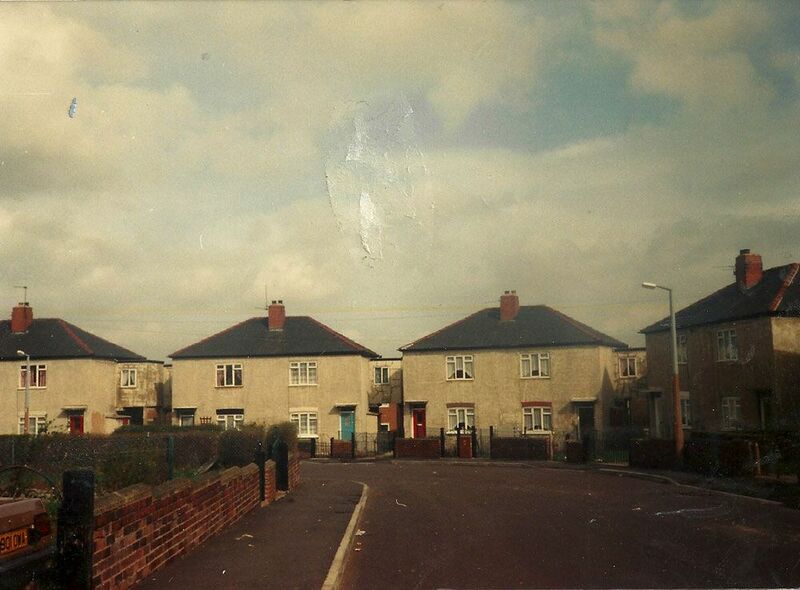 IMBO: Tell us about where you grew up. KING: I grew up in a small, poor industrial town in Northern England. It was proud, suspicious of outsiders, family oriented and quite depressed. Although I feel bad saying this, because the people I grew up with we're and still are wonderful, hard working, humorous people, I honestly couldn't wait to leave, and I'm never going back. IMBO: I think many expats know what you mean. I would find it incredibly difficult to go back. I’ve been away so long that I have no idea what colour my roots are. But what about France? Is this home now, or could you pick up and move? KING: Home is where the heart is. 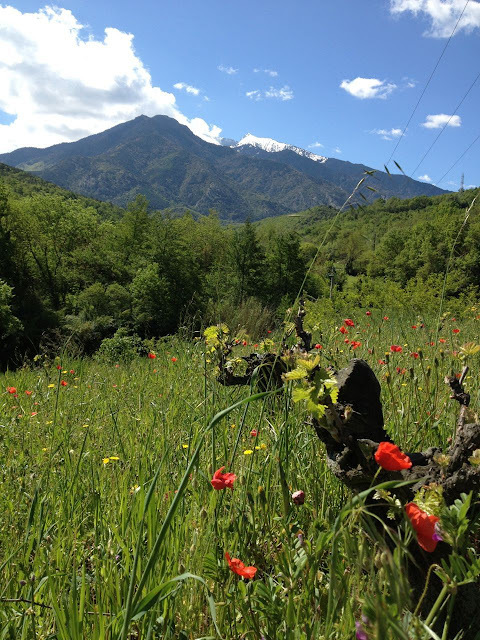 I love living where we do in the Pyrénées, but don’t feel anchored to France particularly. I feel anchored to my family and my friends and geographically this is quite a challenge as beyond my immediate family everyone is very dispersed. My husband, daughters and I talk often about a time if/when we move somewhere else, and we don’t really know where that would be. I can’t imagine it would be further from our parents (who live in North Yorkshire and on a Scottish Island)…but it could be elsewhere in Europe or back in the UK, depending on what the reason might be for a move (professional, family led etc). We don’t know where life will lead us, so it’s nice to keep an open mind. IMBO: And your first experience, your first struggle, with literature? KING: I read books upside down quite happily for years. No one knew I was reading, they thought I was pretending. The first word anyone discovered I couldn't read was 'sausages'. I tried to read Dickens aged 11 and was put off for life, I remember being blown away by the war poetry of Sassoon, Owen and Brooke. Gerard Manley Hopkins broke my heart. IMBO: Did you really read upside down? In second grade, a teacher punished me once for making up the story instead of reading it as I flipped through the pages. She told my mother I couldn’t read. I just thought the story as written was kind of dull. KING: I did. I have an older brother and was envious that he got to read first, so I was the annoying younger sister, standing in front of him and peering over his books, reading the text upside down. I don’t think your brain cares particularly which way up the letters are. Funny story about your teacher. My first teacher refused to believe I was reading, she thought I’d memorised all the stories! So she sent to the next class up for ‘fresh books’ to test me with. Nuts. 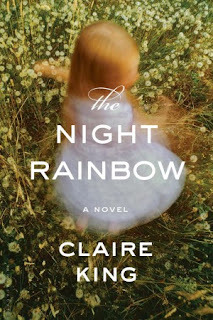 IMBO: I can just see little Claire with her arms folded, saying “Bring them on!” Your debut novel, The Night Rainbow (which has just come out in the US! ), is set in the south of France. The narrator and her mother are expats themselves. Do you sometimes feel the same way this mother feels about being foreign? KING: I’ve never felt as peripheral to a community as the mother does in The Night Rainbow, but I often feel that my level of competence in foreign languages creates a gulf between me and others which I cannot cross. It’s really hard to have an intimate relationship with someone when you struggle to express your feelings and to understand the nuances of what the other person is trying to say. And you need to put a lot of time and energy into crossing that gulf. In Ukraine I had much more time to break down the barriers. In France it’s a real frustration. IMBO: Most of my students these days are French, and we’ve made a joke of my having to learn at least one new French word during every class. I’m worthless. My French is near catastrophic. I think if I had to immerse myself in it, I would drown within minutes. KING: Would you like a word for today? How about croustillant, which literally translated means crunchy, but you can use it to describe a gossipy, saucy story ‘une histoire bien croustillant’. IMBO: Merci! I’ll have a go at pronouncing it today in class—which is always so entertaining for my students. OK, back to your book: The setting of the story is Southern France in a rural community. Do you live in this setting yourself? 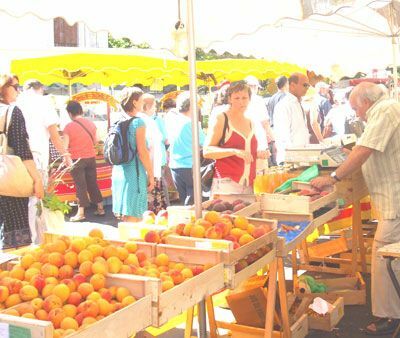 And do you live this idyll of going to the open markets, buying fresh vegetables and cheese, getting fresh baguettes delivered to your door like in the book? Southern France. The Low Meadow from The Night Rainbow? KING: Someone at my publishers asked if, as part of a prize being offered, I could do a ‘Night Rainbow tour’ where we would visit the peach orchards, the meadow down by the stream, Windy Hill overlooking the wind turbines etc. Unfortunately the tour doesn’t exist because the landscape around Pea’s house, and the house itself, is fictional. But of course it is inspired by places that I’m familiar with. Most of the ‘macro’ location is based on the coastal area around Fitou, just north of Perpignan, where you have the beautiful étangs full of flamingos and the wind-blown trees and the garrigue. I pass through that area regularly on the train and I just love its wild Mediterranean beauty. The ‘micro’ locations like the low meadow and parts of Windy Hill are inspired by places closer to home (inland, at the foothills of the Pyrénees) that I know much more intimately – the geography, the nature and so on – because Pea also needed to be intimate with them. All that being said, we do live in a rural community and yes, there’s a lady who brings fresh baguettes to the village: we don’t have a bakers within walking distance, and I believe it’s the law in France that everyone must have access to fresh bread, so if there’s no bakers nearby a delivery service is organised by the local mairie or town council. 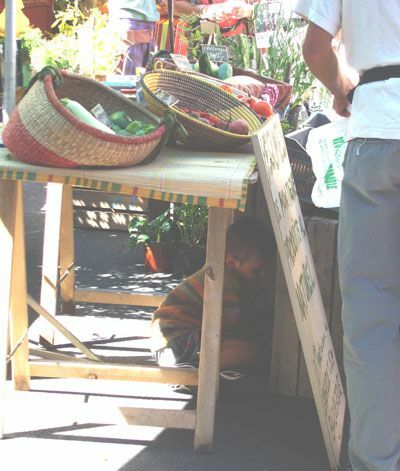 We absolutely do shop in the open markets. They are every Tuesday and Saturday mornings in our local market town, but there is one every day in the surrounding area. It’s one of my favourite parts of living here - the butcher and the greengrocer who know us by name, the piles of seasonal fruits and vegetables, tourist watching…such a pleasure! "I believe it’s the law in France that everyone must have access to fresh bread . . ."
IMBO: The fresh bread notwithstanding, what about the not-so-pleasant aspects of being an expat in a small community? Have you ever felt as alone as Maman in The Night Rainbow? KING: I have, but not in the context of being an expat. As an expat you can usually find someone else who is physically displaced with whom to identify. But when the displacement comes from within, that’s when you feel most alone. IMBO: I get that, and I’ve often felt this sort of displacement. In fact, I felt it more when I was living in the US than now. Is there an excerpt of The Night Rainbow available somewhere on the internet that we could read? KING: Here is a link to the first chapter. If this one doesn't work, use THIS ONE. IMBO: Thank you! 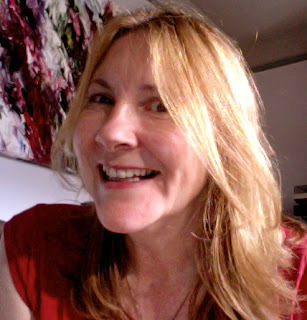 Now, I always ask the author to recommend another expat writer to my readers. Who would you suggest we read and what do you love about this author? KING: You’ve already met some of my favourites, I guess we move in the same virtual circles – Kate Brown, for example, Michelle Elvy, Tania Hershman and Marcus Speh. So I’m going to introduce you to Peggy Riley, an American writer living in the UK. I met Peggy on a writing retreat while she was working on her debut Amity & Sorrow. What impressed me most was firstly what a warm and generous person she is, and secondly her utter discipline in and dedication to her writing. I get the feeling that just by being around her some of that might rub off on me (my writing processes leave a lot to be desired). I wasn’t at all surprised when Peggy landed a fabulous publishing deal and - now Amity and Sorrow is published I’m similarly unsurprised by the wonderful critical reception it’s enjoying. 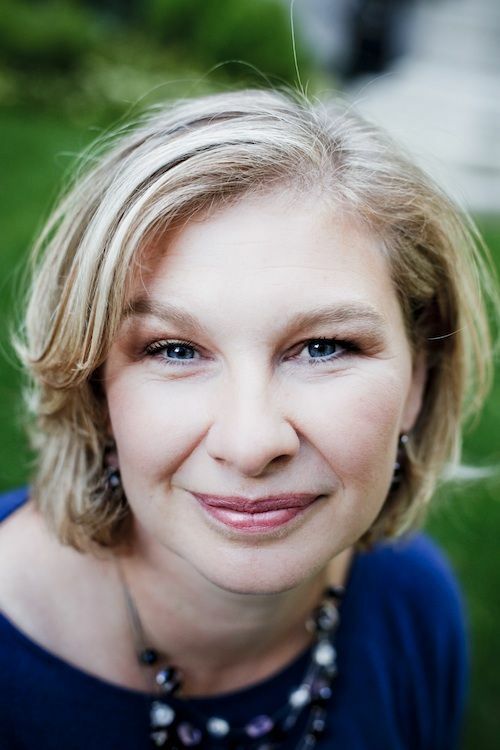 IMBO: Thank you, Claire. I'll be sure to check out Amity and Sorrow (Read Kate Brown's review of the book HERE). It was great getting to know more about your expat experiences. What a surprise Kiev was. I wish you all the best, Claire, with The Night Rainbow and with all your future projects. KING: It was lovely chatting with you! Thank you for having me. The Night Rainbow can be found in all good bookshops and on the web HERE. 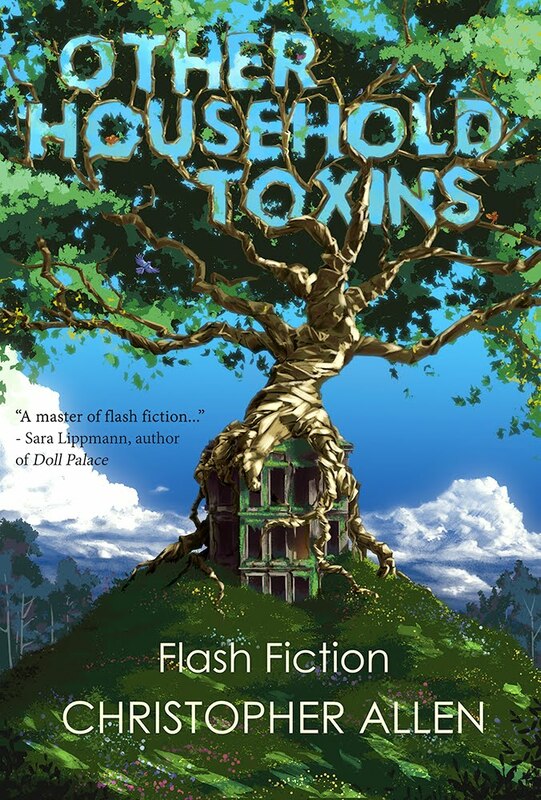 Read Christopher Allen’s review of the novel HERE. Read what people are saying about The Night Rainbow at Goodreads HERE. Christopher Allen is the author of Conversations with S. Teri O'Type, an episodic adult cartoon about a man struggling with expectations. Available on Amazon Anything. I live in my birthplace, about eight miles from my hometown, and days it can be hell or looking like Marilyn, revived. I consider applying abroad for asylum or fleeing according to Protestant heritage. Staying after customary punishment of return-academics by Americans is godawful. Though I am not a syncretist, Hinduism offers the only available reality, and I aver no-god in combatting de-educated belief. Secularity where I live is a privilege and not all around, walking along, as it is in Manhattan. I enjoy reading Chris' ex-pat interviews, and Claire's I also love, particularly where she settles in upon the literature. I enjoyed this. Claire, go back to Dickens! He's amazing (mostly).